At the beginning of the year 2011, Africa was making impressive strides in the global statistics of the performance of the tourism industry. According to the UNWTO, Africa was the only region to achieve an increase of 3% in the year 2009 in terms of international tourist arrivals despite the global financial crisis and economic recession of 2008 and 2009. And the momentum of the arrivals had increase to 6% in 2010 which was boosted by the worldwide exposure created by the hosting of the FIFA World Football Cup by South Africa (UNWTO Tourism Barometer, February 2011). The international tourist arrivals to Africa were 49 million representing 5% of the total of 935 million arrivals in 2010. For the UNWTO, their prospect for the continent in terms of arrivals is pegged at 4% to 7% growth for 2011. The attainment of this growth is going to be difficult to achieve because of the current political instability in the North Africa and La Côte d’Ivoire. The UNWTO did their estimation before the incidence of the political crisis in North Africa where some of most popular tourist destinations on the continent are located such as Morocco, Tunisia and Egypt in terms of international arrivals. But the organisation thinks that it is too early to forecast the long term effect on the industry and they feel that although the political crisis in the North Africa would have negative impacts but it will be less significant on over all trends for the region (UNWTO Tourism Barometer, February 2011). Safety and security is one of the current tourist trends that tourists do take into consideration when they are deciding what destinations they should visit. Buhalis et al. describes tourism as a volatile one. The slightest whispers of political discontent typically send tourist arrivals plummeting (Buhalis et al., 2006). Documented evidence from over the world does give credence to the impact that political instability have on the tourist demand of destination countries. Nepal, Fiji, China and Ghana are some of the countries that had their tourism industry affected by political crisis. In Ghana, the repeated coups in Ghana which did happened before the return of multi-party democracy in 1992 resulted in major downturns in tourist demand to the country. The British Broadcasting Corporation (BBC), in one of their news feature about the political situation in Egypt showed how the current situation is affecting the country’s tourism industry. Jet2.com did suspend their flights to Red Sea resort in Egypt which made some British tourists to Egypt really furious because their trips have been cut short (BBC, February 2011). There was a travel warning for Britons going to Tunisia from the Foreign Office in the United Kingdom during the political crisis in January. Even though the warning have been lifted, Britons are been asked to be well informed and monitor the situation in Tunisia closely before embarking on any trips to the country (BBC, February 2011). Furthermore, political instability has been noted to have the ability to tarnish the image of an entire region (Buhalis et al., 2006). Coming at heels of the continent already having negative image among the tourists, this current situation on the Africa continent have the potential to worse the already bad image that tourists have. Certain questions have to be asked and solutions have to be found by the managers of the destinations across the continent amidst this current political situation. Firstly, are other destination countries experiencing the adverse effects of the political crisis on their tourism industry as it been experienced in North Africa and La Côte d’Ivoire? What kind of strategies are they planning to cumber the negative implications? Lastly, are the individual Destination Management Organisations (DMOs) in other Africa countries planning to turn the situation into a positive one by targeting these tourists who have their idea destination for their holidays in these trouble countries turn into unsuitable place to visit? The writer is advocating that Africa countries that have similar or different tourist offerings can embark on vigorous marketing of their destinations to target the estimated tourists that were expected to come to the North Africa but because of the current situation they are at limbo where to visit now. No one should misconstrue that the writer is delight that there are crisis in these countries. But what would be better of the two scenarios that these expected tourists find other alternative destinations outside Africa or they go to almost equally suitable destinations on the continent where their safety and security is assured. The latter is preferred choice because at least some of the estimated receipts from the tourists will stay on the Africa continent. The receipts from the tourism industry act as an important component of the economies of most Africa countries. Kenya, South Africa, Gambia and Ghana, just to mention a few are some of the countries that depend on tourism for the sustainability of their economy. In Ghana, tourism is the fourth foreign exchange earner for the country as well as providing employment to the citizenry. If DMOs are able to embark on this marketing drive, less known tourist attractions on the continent can blossom when the opportunity is given. Finally, hope there is an end is in sight for the countries that are experiencing political instability on the continent because the situation does not augur well with our image as preferred tourist destination any good. Since yesterday, it has dawn on me that my city, Accra is undergoing some serious changes of which I have not been totally oblivious to but just that I totally ignore them for what it worth until now. I went to central Accra yesterday and noticed that the city is being transformed right before mine eyes and it would be a matter of time that I cannot recognise my city that I use to know anymore. In recent years, major infrastructure developments are been undertaken in my city with regards to the siting of high rise buildings (apartment, offices, parking spaces etc.) and shopping malls. I am not sure what my real feelings are in regards to this key transformation of my city’s landscape, but I know am concern about it losing its unique identity. Certainly, I know we live a dynamic world of which my older relatives will definitely tell me that the Accra I know when growing up is totally different from what they knew when they were growing. However, I will be sad to see my city losing its identity as a Ghanaian city in our quest to be a modern city comparable to other modernised cities around the global or to be sad that. Since yesterday, I have being pondering what I will likely miss if Accra becomes totally modernised. For now, on top of my head I know two things that I will miss. First, with the proliferation of shopping malls with supermarkets all over the city, I strongly feel that I will totally miss the ambience of our local markets (Kaneshie, Makola etc.) especially the bargaining aspect. Bargaining in our local markets allows the customer and trader to have one on one engagement which is absent in the supermarkets. As a student of tourism, bargaining at our local markets can be one of Unique Selling Point (USP) to tourists who are not used to such practice. A few years back, I had opportunity to visit Bali, Indonesia and the tour guide who took my friends and me around one of their local markets told us that bargaining is the difference between their markets and developed world’s supermarkets. The joy that comes with being able to negotiate for price of any item is not irreplaceable to me. Moreover, the trickery and tactics that traders master to sweet talk a customer to buy their wares is a sight to behold. I always feel strange when I am shopping in any of the malls because I get the sense that the sale staff are not that so interested in what am picking from the shelves but rather they want to make sure that you do not shop lift any item. So their demeanour is not that friendly because they always on the watch out! Secondly, I like how we build our buildings not the high rise buildings that are springing up in the city. It is well and good that we want utilised our lands to the best that we can. But do we as a city have regulations to how high the buildings should be or do we have specific style of building these skyscrapers that can portray the identity of Ghana. Some years ago, a tour guide I met in Bali said that their buildings are not suppose be higher than a coconut tree while in Singapore, a skyscraper cannot go more than 230 metres in height. Ghana aims to be a leading tourist destination so it will be nice if our city authorities will factor our unique identity as a Ghanaian city to the skyscrapers that are being built. Contemporary tourists are looking for authentic experience difference from what they are used to from their home countries. 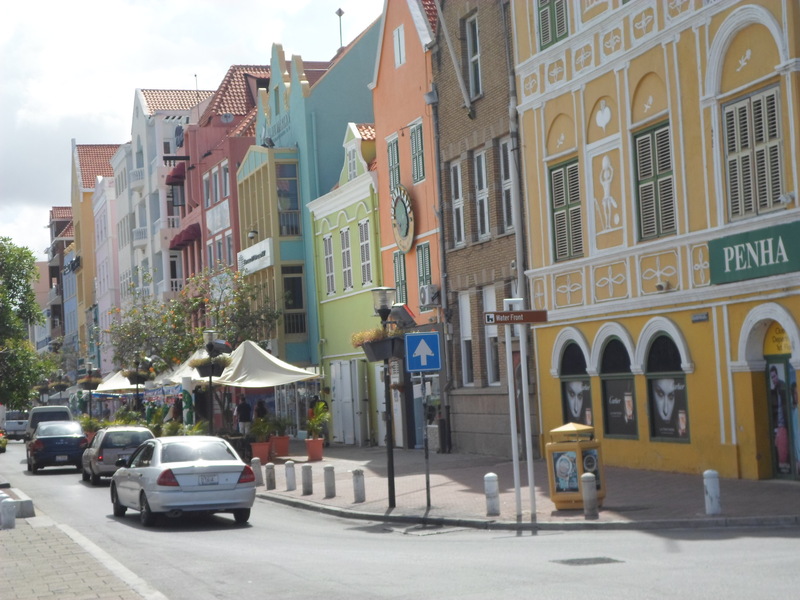 We can learn from Curacao and the Netherlands who have maintained their unique style maintaining or building their buildings as can be seen in the pictures posted. According to the Asante custom, “a man is suppose to marry a new wife every forty (40) days” Hmm, interesting!!! what do you think of that? On 9th November 2012, my students and I undertook an educational field trip to Manhyia Palace Museum, Kumasi. Had an interesting discussion with Mr Osei Kwadwo, first curator of the museum about the management and marketing of this fanastic heritage attraction. 37 days to Ghana’s elections. Presidential debate is on-going now. I haven’t seen any concrete policy on tourism from any of the political parties yet. I am hoping someone will do the honours by asking any of the candidates what they have for the tourism industry. FINDING TRAVELLING INFORMATION: ARE SOCIAL MEDIA RELIABLE AND TRUSTWORTHY? One may ask what a mass medium is. According to Wilbur Schramm (1960), a mass medium is essentially a working group organised round some device for circulating the same message at about the same time, to large numbers of people. Mass media underscore other, non-institutionalised media, such as word-of-mouth (for many the most efficient promotion of destination), brochures/pamphlets, travel agent and tourist packages (Hsieh and O’Leary, 1993). Mass media do complement travellers’ personal experiences, the web-based information (the internet) and education. One of the mass media which is helping to transmit travel information to tourists is the social media. Social media are websites that does not only disseminate information but also allows you to interact while disseminating the information. In short, social media is a two-way affair that gives the ability to communicate too unlike the newspaper or a report on television which gives limited ability to give your views on the information being provided. Travel blogs, Facebook, virtualTourist.com, twitter, lonely planet and Trip Advisor are some of the most popular social media that tourists look for travel information. Which media do you prefer to look for information about travel, is it the non-institutionalised media or social media? Not until more than a year ago, it has never occurred to me to use any form of social media to look for any travel information. My main sources of travel information were the newspapers, televisions, radio, websites of the country embassies I will be visiting plus information from family and friends. When I was pursuing my post-graduate degree that it did dawn on me that most people especially the younger generation really use the social media as the main source of information for travel. I may be conservative in the way I look for travel information but I do feel I can trust those sources of information better than social media. Even for my preparations to a field trip in Asia, it never occur to me to go those platforms to search for information but all I have to do is to rely on information from the embassies, friends, colleagues, lecturers and family to inform me what not to do or do in a particular destination. It was my friends who enlighten me that it is an offense to carry a chewing gum in Singapore; trafficking drugs to Singapore guarantee you a dead sentence and so forth. Just a few days ago, I was doing some reading and I came across this website: virtualtourist.com. My curiosity got hold of me and I went to the internet to check the website out. And I was amaze and surprise about the different kinds of information people want to know about my country, Ghana especially before they could embark on a journey to the country. 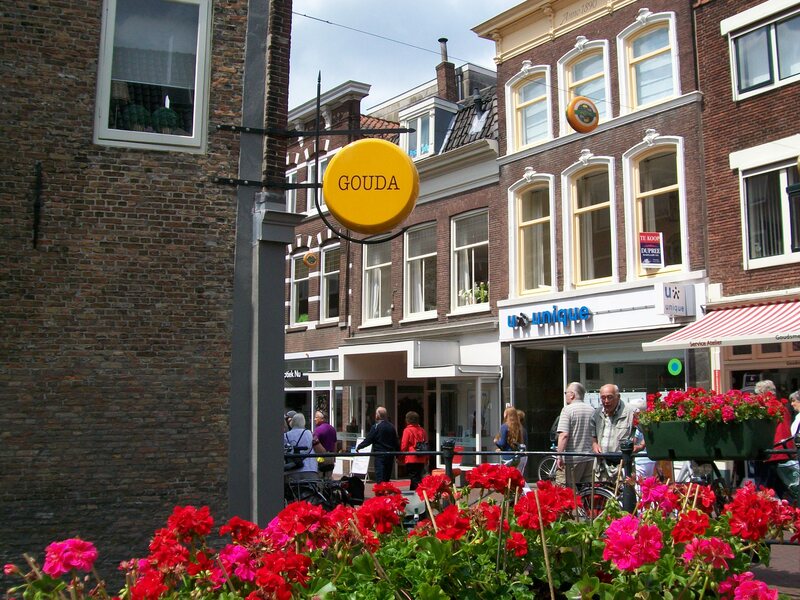 Travel information such as how to get visa into the country, tourist attractions, hotels etc. For a lighter side I could not believe someone ask if she can safely marry an African while in Ghana and while other ask are there many mosquitos in Ghana? This set my mind thinking would individuals really trust information specifically about how to get a visa for instance from these platforms more than the information being provided by embassies at the various destination or immigration authorities. Or will people trust and rely on any other travel information from only these social media platforms? According to Mintel, a major challenge for these numerous platforms on social media is the credibility of information that is disseminated. It has also been noted that consumers often turn to these sites to reduce their information overload problem. But rather they complicate their decision-making process with the sheer number of reviews, comments and feedback that are available to them (Mintel, September 2008). Another point to consider is the anonymity of the individuals that post content on the social networking sites which is to raise some legitimacy of the ratings of some tourism facilities. Without any appropriate safeguards, anybody can post dishonest reviews to enhance or tarnish reputation of a particular destination or tourism facility. In the final analysis, it appears that there is some information gap between what the DMOs is supposed to relay to their clients/consumers and what the tourists are receiving from the DMOs. This may have come about because tourists have become critical recipients of information and do not buy empty hype. And now it seems the onus has fallen on the social media platforms to try to bridge that gap. Lastly, Tourism organisations and destinations also need to be able to address unfavourable comments and reviews in the virtual communities on social media. It is a fact that irresponsible media coverage can kill a destination (Buhalis et.al, 2006).